On Friday 9th August, the International Olympic Committee (IOC) meets in a joint executive committee session with the IAAF in Moscow ahead of the World Athletics Championship, which like the 2014 Sochi Winter Olympic Games will put lesbian, gay, bisexual and trans athletes and spectators at risk. This is the last meeting of the IOC executive committee before next month’s election of a new president in Buenos Aires. Lou Englefield, coordinator of Pride House International, declared: “As the IOC faces another milestone in its history with the election of a new president, members of the Pride House International coalition of LGBT sport and human rights organizations encourage the IOC to continue its modernisation journey, to include more people in the Olympic Movement, and to seize the opportunity for true inclusion and equality in sport”. Six members of the International Olympic Committee are currently in the running to succeed Dr Jacques Rogge as president of the IOC. After presenting their programme to an ‘in-camera’ session of the IOC in July, they will face a vote at the IOC Session in Buenos Aires on 10 September 2013. The candidates, all men, are: Thomas Bach, Sergey Bubka, Richard Carriòn, Ser Miang Ng, Denis Oswald, and Ching-Kuo Wu. Any form of discrimination with regard to a country or a person on grounds of race, religion, politics, gender or otherwise is incompatible with belonging to the Olympic Movement. The criteria of “sexual orientation and gender identity” should be included alongside race, religion, politics, and gender in the Olympic Charter. Countries that discriminate against persons on the basis of sexual orientation or gender identity, or any other criteria, should not be qualified to bid for or host Olympic Games. The IOC should require the presence of a community-based Pride House at all Olympic Games to foster the above goals and encourage dialogue and exchange on issues of discrimination and visibility for LGBT athletes and the LGBT sport movement. Stephen Frost, former Head of Diversity and Inclusion at LOCOG, 2012 London Summer Olympic Games, currently a visiting fellow at Harvard University, said, “When the Olympic movement decided to host the 2012 Games in London, they chose to inspire a generation to become involved in the Olympic movement. As a legacy of the diverse and inclusive London Games, that ethos should continue and the IOC should be encouraging everyone, regardless of sexual orientation of gender identity, to become involved with Olympic sport. We now stand at another key moment in history where the Olympic movement can choose to build on their ideals or to let them go to waste. We hope that the members of the IOC will choose the path of inclusion and a future of broader participation in a movement based on the best of the human spirit”. Englefield concluded: “It would be a historic opportunity for the next president of the IOC to be associated with a renewal of the highest principles of the Olympic Charter, and we would be honoured to be part of this endeavour”. 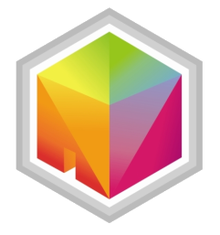 Pride House International is a coalition of LGBT sport and human rights groups, including participants in past and future Pride Houses, united to promote the cause of equality in and by sport and the creation of Pride Houses at international sporting events. A Pride House is a venue welcoming LGBT athletes, fans, and others and their allies during international sporting events. Akin to the various national houses at such events, they are welcoming places to view the competitions, to enjoy the event, to learn about LGBT sport and homophobia in sport, and to build relations with mainstream sport. The first Pride House was organized for the 2010 Winter Olympic and Paralympic Games in Vancouver/Whistler, with others following in Warsaw (2012 UEFA Euro football cup) and London (2012 Summer Olympics). Pride Houses are planned for the 2014 Commonwealth Games in Glasgow, 2014 FIFA World Cup in Brazil, the 2015 Pan-American Games in Toronto, and the 2016 Summer Olympics in Rio. Written on 12th August 2013.